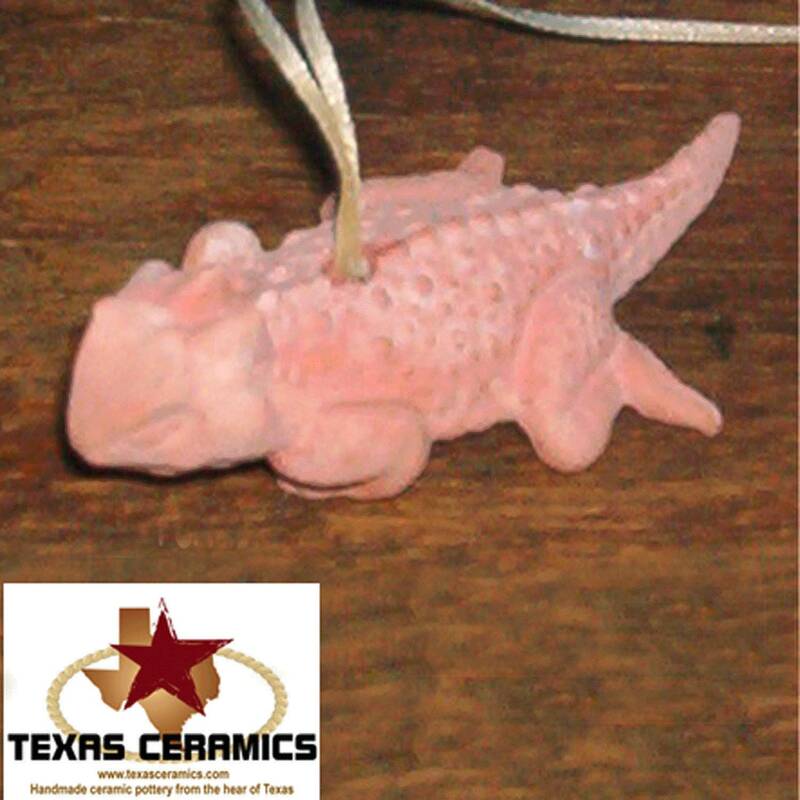 This set of 3 little Texas horned toad Christmas Tree ornaments are made in Texas, USA. Each is crafted of Terracotta ceramic clay and kiln fired. This Texas Horned Toad makes a great addition to any Christmas Tree or even a wreath for your front door or gate. 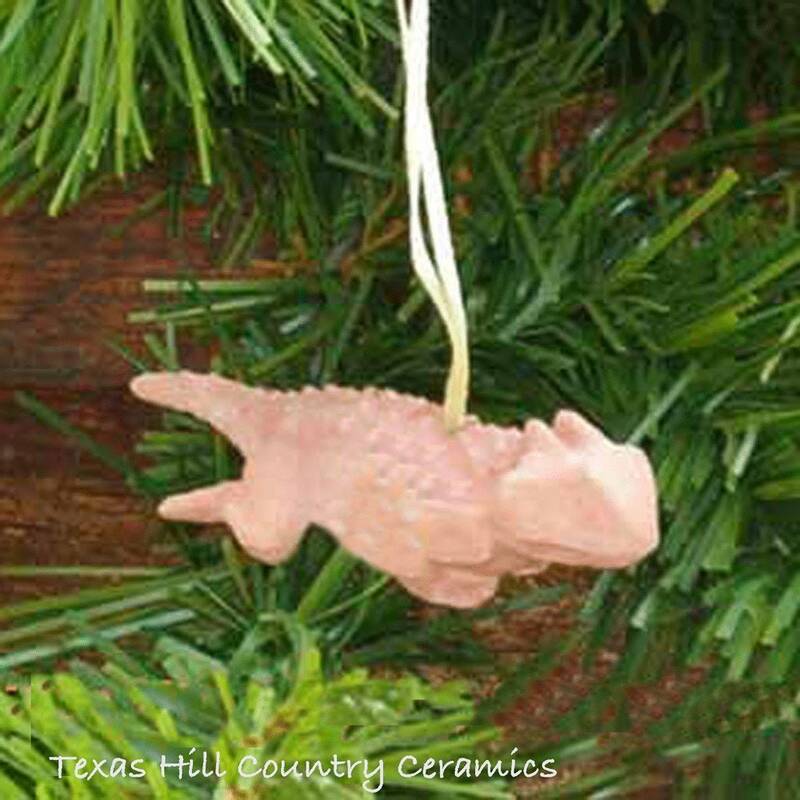 Each horned toad is ready to hang on your favorite tree or wreath, add a few armadillos with the horned toad for a true Texas style Christmas tree. • 7/8 of an inch tall. Super sweet little toads! Fast shipping.